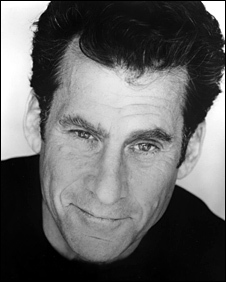 This article is based on an interview I did with Paul Michael Glaser in LA in May 2006. “If we’re gonna’ do this we’re gonna’ have to do it now,” commands the sometime Hollywood director, AIDS activist and man most of us still think of as Starsky. It’s nearly 30 years since Paul Michael Glaser and David Soul squealed their wheels for the final time on Starsky & Hutch and unashamedly I want to speak to Glaser about my favourite episodes and if he stills own that ivory cardigan. But what has really brought me here is something a whole lot more serious.It was August 1981 and Glaser sat bedside with his pregnant wife Elizabeth, she in desperate need of a blood transfusion to save both her and their unborn child. What happened in the quarter century since AIDS changed everything about their lives is what’s allowed the interview to take place; it’s why he is happy to talk and it’s why this isn’t just another Starsky & Hutch fanboy interview. Well, almost not. Glaser sounds in something of a hurry and instructs me to meet him in five minutes on the 17th floor of his ocean-front Santa Monica condo. Thoughts bounce around my brain and I’m edgy in a way I’m not normally before an interview. It’s late May, the Californian sun is shining and I’m walking with the brisk stride of a man who doesn’t want to be late but doesn’t want to sweat once he gets there. I realize that what’s getting the nerves going has little to do with iconic cardigans and car chases and more with finding the right navigation towards Glaser opening up about AIDS. The “big disease with a little name,” as described by the singer Prince (Sign Of The Times, 1987) took not only the life of Glaser’s wife, but also his beloved daughter Ariel. Once cleared by the security guard in the lobby, I’m buzzed up to the 17th floor of what is a grand, modern apartment complex with sparkling views out to the Pacific. We greet, pull up chairs and the interview begins. There is a sternness and fierceness of intelligence that hits me straight away. This man will not suffer fools and doesn’t need his time wasted with frivolity from foreign interviewers. The dark curly hair is still there, though not quite as enthusiastically as it was back in the day. Dressed in jeans and a collared shirt, he looks like a regular guy in his early 60s, albeit one who swaggers with the slight hint he may have epitomized cool in a past life. 30 years ago there were few bigger celebrities than Glaser and co-star David Soul (Hutch). The show was so popular in the late 70s it wasn’t uncommon to see cars painted just like Starsky’s Ford Gran Torino, even if they were less Torino than they were Triumph. 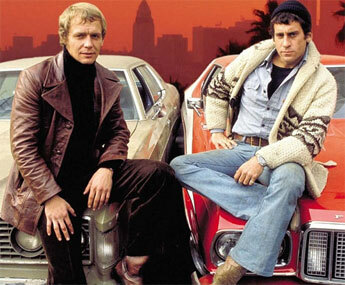 Starsky & Hutch was an instant top 10 ratings hit Stateside hit and a mammoth hit around the world.While some criticized the show’s violence, others praised its gritty realism as well as its breaking down of cultural barriers and clichés (with the two secondary characters being black and neither being villains). Critics at the time wrote that it was the defining cop show on TV. What they didn’t realize is that all these years down the line, it is defining not just of cop shows, but of the era as a whole. With celebrity obsession even more rampant today, it’s not surprising hearing there are still people who can’t separate Dave Starsky from Paul Michael Glaser. So imagine being at the centre of mass exposure when you’re also the victim of a disease nobody wants to know about. Elizabeth Glaser contracted HIV the same year AIDS was given a name – 1981. The blood that saved her life was contaminated with a disease most doctors, let alone the public, lacked any real knowledge of. Unaware she was even infected, Elizabeth Glaser unwittingly passed the disease onto her new baby Ariel and later, her son Jake. Incredibly, it would be five years after the life-saving blood transfusion that the family received the devastating diagnosis. Two years later in 1988, aged only seven, Ariel succumbed to the disease. Elizabeth lived long enough to write a bestselling book In The Absence of Angels, but more importantly, established the hugely influential Elizabeth Glaser Pediatric AIDS Foundation. She died in 1994, but their son Jake remains a living testament to the advances in HIV medication and funding the Glaser family helped champion. Bitterness could easily be forgiven in Glaser, but not once can I detect a trace. Without prompting he talks of being “shown a choice: do I want to be a victim of this tragedy? Or am I going to find a way to learn and grow from it, open my heart and find a greater capacity to love?” He firmly believes things don’t have to happen for a reason and yet if ever there seemed an example of a cause justifying its tragic beginnings, it’s this. To this day, the Elizabeth Glaser Pediatric Aids Foundation (which Glaser remains the honorary chairman of) is credited for having done more to reduce North American mother-to-child HIV infection rates – now as low as two percent – than any other organization. Glaser’s rhetoric on the current state of HIV / AIDS is well practiced, but he still tells it with bite. “The illusion that people have is that the medications that the scientists and doctors have created are making it a manageable disease.” According to Glaser, one of the biggest problems is Western ambivalence: “I’m not gay and I don’t conduct a life of promiscuous behaviour and I’m not a drug user so it’s not gonna’ affect me. The truth of the matter is it affects everybody.” He tells me there are half a million children dying of AIDS every year and therefore we should all feel affected by it. These days Glaser is still an active voice in his late wife’s foundation, but has also returned to what made him famous in the first place, acting and directing. “My days are filled with a lot of writing, though I do direct the occasional TV show (Miami Vice in the 80s, Third Watch more recently) and after a 17 year break, I’ve also got back into some acting.” Of late he’s played alongside Diane Keaton and Jack Nicholson in Something’s Gotta’ Give and starred in several West End plays (Captain Hook in Peter Pan), but tells me it’s bad luck to go into detail of what his current projects are in case they don’t work out. 40 minutes have passed and if he was in hurry I’m thrilled he feels this is worthy of making him late. I did get to discover the famous Starsky cardi was bought by Glaser himself in a Mexican market in downtown LA in 1975 and no, I can’t pose for a photo in it because it was recently auctioned off to charity. He says the Ford Gran Torino may have looked cool but was actually clunky to drive and that most fans agree season one and two of the show were the best. Starsky & Hutch aside, it’s his words regarding tragedy that will resonate: “You don’t learn from things going well, you learn from things when they don’t go well and there’s a reason for that. It gives you the opportunity to make choices and grow from it. All too often in our society that lesson is not taught.” And there is no doubting it’s a lesson he’s more than qualified to teach.